LONDON, February 5, 2019	(Newswire.com) - Passport Technology, Inc., in partnership with ChangeGroup, an internationally recognized provider of currency services, is proud to introduce a new line of high-volume ATM services, beginning at Horizons Casino in London. Horizons is one of London’s most iconic casinos located in the heart of Leicester Square, open 24/7 with an exceptional range of gambling facilities as well as a friendly bar and restaurant. Passport Technology is the leading provider of cash access services for gaming establishments in the UK, EU, & Canada. With the expansion of ATM solutions, Passport Technology now provides casinos with the options for free to use transactions, no transaction limits, patron bank authorized limits, dynamic currency conversions, redundant connections for maintaining uptime, customisable advert screens, kiosks, and more. Passport Technology Inc. is a leading developer of technology-based products and services for the highly regulated payments, gaming, and financial services markets. The company's international portfolio includes attended payment kiosks, cash access systems, server and web-based analytic technology, agnostic application management systems and interactive content and services. ​ChangeGroup is one of the world’s leading providers of foreign currency and tourist services to the international traveller. We opened our first bureau de change in London’s Regent Street back in April 1992. Originally funded by the venture capital group 3i plc, ChangeGroup has progressively grown and currently has operations in 12 countries and 37 cities across Europe, North America and Australia and continues to expand. 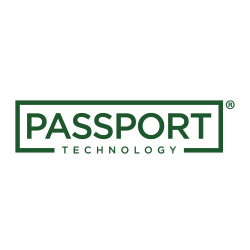 Passport Technology Inc. is a leading developer of technology-based products and services for worldwide payments, gaming and financial services markets.